Here is a list compiled of the 19 studies from various lists on CDC’s websites to defend the use of thimerosal in vaccines. These are the studies that CDC uses to claim thimerosal’s safety. Each is fatally flawed through the use of incorrect and even fraudulent statistics. Even so, these studies demonstrate that thimerosal has been linked with tics, IQ deficits, speech delay and language delay. Madsen et al. 2003 Plesner and Andersen were affiliated with a for-profit Danish vaccine manufacturer. Thorsen embezzled over $1 million from CDC. Epidemiology Pediatrics Autism rates went down after the removal of thimerosal in Denmark in 1992. Removed incidence data from 2001. Manipulated inpatient/outpatient data to create an artificial rise in incidence in 1994. Stehr-Green et al. 2003 Stelfeld is an employee of a Danish for-profit vaccine manufacturer. Simpson was Deputy Director of National Immunization Program of CDC. Epidemiology American Journal of Preventative Medicine Autism rates and uptake of thimerosal­ containing vaccines in California were strongly correlated. Wrong fuly dismissed autism rates in California as inclusion of milder ASD cases to obviate the rise in cases. Andrews et al. 2004 Miller has also actively participated in clinical trials for the approval of human papilloma virus and influenza virus vaccines. Funding by World Health Organization. Epidemiology Pediatrics Thimerosal exposure causes tics. Numerous statistical errors by correlating thimerosal exposure with year of birth. Verstraeten et al. 2003 Verstraeten worked for vaccine manufacturer GlaxoSmithKline. Other authors worked for insurance companies including Kaiser Permanente. Epidemiology Pediatrics Thimerosal exposure causes tics and language delay. Effects were diluted through five separate iterations of the study. Numerous exclusion criteria were erroneously applied and data cherry-picking was done to dilute statistically significant effects. Hviid et al. 2003 Stelfeld is an employee of a Danish for-profit vaccine manufacturer. Epidemiology Journal of the American Medical Association Thimerosal exposed children were twice as likely to have an autism diagnosis. The age of follow-up was as low as 1 year which is too young to receive an autism diagnosis. Records of older children with autism were lost. Thompson et al. 2007 Authors were affiliated with Harvard Pilgrim and Kaiser Permanente insurance companies. Epidemiology New England Journal of Medicine Thimerosal causes tics in boys. Thimerosal lowers IQ in girls. Overmatching phenomena meant that cases and controls had very little difference in thimerosal exposure. Price et al. 2010 Authors were affiliated with Harvard Pilgrim and Kaiser Permanente insurance compan1es. Epidemiology Pediatrics Prenatal thimerosal exposure causes regressive ASD in boys. Overmatching phenomena meant that cases and controls had very little difference in thimerosal exposure. Prenatal thimerosal effect was hidden by cherry-picking data. Barile et al. 201 2 CDC employees were told by direct supervisor Dr. Edwin Trevathan to downplay the tic effect. Trevathan was then director of CDC’s National Center for Birth Defects and Developmental Disabilities. Epidemiology Journal of Pediatric Psychology Thimerosal causes tics in boys. Overmatching phenomena meant that cases and controls had very little difference in thimerosal exposure. Tozzi et al. 2009 Study funded by CDC which has a direct financial stake in vaccine uptake in the United States. Epidemiology Pediatrics Thimerosal showed a higher incidence of tics. Study was completed using Italian vaccine schedule with much lower thimerosal exposure than U.S. schedule. No zero exposure control was use. Ball et al. 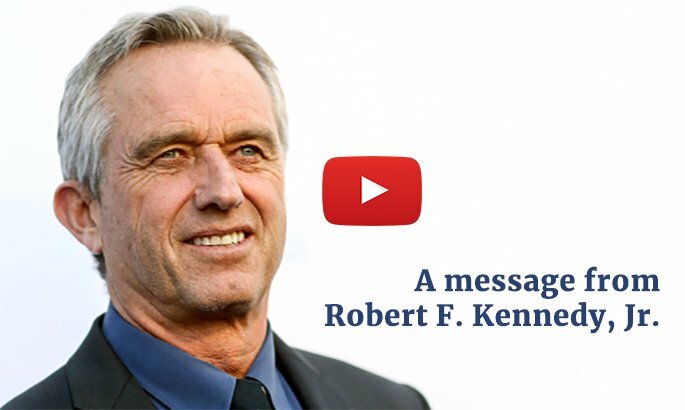 2001 Study was funded by the FDA which has direct links to the pharmaceutical industry and is incentivized by vaccine uptake in the U.S. Review Pediatrics Thimerosal exposure from U.S. vaccine schedule exceeded EPA safe exposure limit. Study authors ignored prior literature reports of local necrosis, acute hemolysis, disseminated intravascular coagulation, acute renal tubular necrosis and central nervous system damage leading to death in their assessment. Burbacher et al. 2005 Animal Study None declared. Environmental Health Perspectives Vaccine levels of thimerosal exposure resulted in more than double the amount of inorganic mercury deposited in the brain tissue in comparison to equal levels of methyl mercury. None. Hurley et al. 2010 All authors of the paper were employed by MED Communications, a firm that has multiple pharmaceutical company clients. Review Journal of Pediatric Pharmacology and Therapeutics The toxicokinetics of thimerosal are ill defined and thimerosal exposure can lead to tissue damage. The authors of the paper dismiss the causal relationship between thimerosal and autism despite a large body of evidence not covered in the paper. The authors rely solely on flawed CDC epidemiology studies. McMahon et al. 2008 lskander is an employee of the CDC which is charged with maximizing vaccine uptake in the U.S. Epidemiology Vaccine Publication did not investigate outcomes beyond local site reactions. The definition of an adverse event was limited to site reactions and fever. No data were collected regarding any type of neurological outcome. Pichichero et al. 2002 Pichichero has received research grants and/or honoraria from the folowing pharmaceutical companies: Abbott Laboratories, Inc.; Bristol-Myers Squibb Company; Eli Lilly & Company; Merck & Co.; Pasteur Merieux Connaught; Pfizer Labs; Roche Laboratories; Roussel-Uclaf; Schering Corporation; Smith Kline Beecham Pharmaceuticals; Upjohn Company; and Wyeth-Lederle. Clearance Study The Lancet One of the infants in the study showed mercury poisoning (levels as high as 20.55 nmol/L mercury in blood) five days after receipt of 37.5 micrograms of mercury via the DTaP and HepB vaccines. 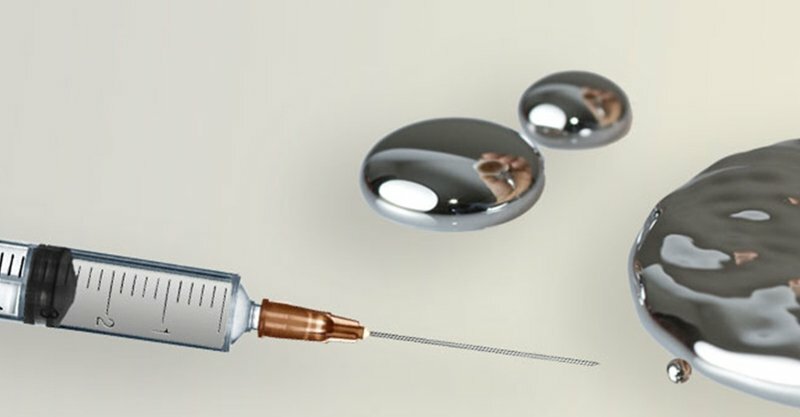 A vaccine expert from the Johns Hopkins Institute for Vaccine Safety estimated that infants receiving 62.5 ug mercury from thimerosal may have experienced peak blood mercury levels of 48.3 nmol/L, well above the EPA limit of 29.0 nmol/L. Clearance of ethyl and methylmercury from the bloodstream are not indicative of the relative “body burden” of mercury caused by comparable doses of each molecule. Burbacher et al. (2005) saw that despite the rapid clearance of ethylmercury from the bloodstream, it caused a greater quantity and persistence of elemental mercury in the brain. Pichichero et al. 2008 Pichichero has received research grants and/or honoraria from the folowing pharmaceutical companies: Abbott Laboratories, Inc.; Bristol-Myers Squibb Company; Eli Lily & Company; Merck & Co.; Pasteur Merieux Connaught; Pfizer Labs; Roche Laboratories; Rousse-lUclaf; Schering Corporation; Smith Kline Beecham Pha rmaceuticals; Upjohn Company; and Wyeth-Lederle. Clearance Study Pediatrics Exposure guidelines for thimerosal should be different than those for methyl mercury, given than thimerosal clears faster from the blood stream and shows signs of excretion via the gastrointestinal system. Bloodstream clearance of ethyl and methyl mercury may not be used to predict the accumulation of each of these toxins in tissues. Ethylmercury (from thimerosal) has been shown to persist in brain tissues for a much longer extend than methyl mercury. Gadad et al. 201 5 None declared. Animal Study Proc Natl Acad Sci USA Thimerosal exposed monkeys showed significantly less non-social exploring behavior compared to unexposed control monkeys. This effect was significant for all exposure categories studied. The sample size of macaque monkeys in each study group was too small to see an effect. The maximum sized group was only 16 macaque monkeys which could never pick up an autism effect if the rate of autism is 1 in 68 children. Fombonne et al. 2006 Fombonne has represented vac­cine manufacturers as an expert witness in thimerosal litigation. In addition, Fombonne was brought up on ethics charges by Montreal Children’s Hospital for misuse of patient samples for an unapproved study. Fombonne was demoted from his adminis­trative position at the hospital in the late 2000s. Epidemiology Pediatrics Time trends in autism diagnoses were compared for thimerosal exposure rates per the vaccine schedule which started in 1987 at a maximum of 100 micrograms mercury, with upticks to 125 micrograms mercury and 200 micrograms mercury in 1988 and 1992, respectively. The school district represented in this study accounts for only 14% of the total school population in Montreal but has the highest rates of POD diagnosis in the five total districts, and in some cases POD rates were three times higher within this district. The claim that the thimerosal exposure in the Canadian vaccine schedule starting in 1996 was “nil” is false. Thimerosal-free HepB formulations were not introduced until 2001 and the thimerosal containing “Penta” vaccine was administered, leading to a cumulative maximum dosage of 137.5 micrograms mercury. This renders any time trend comparison between autism/ASD/PDD prevalence and thimerosal exposure useless. Schechter et al. 2008 Schechter was a part of the Immunization Branch of the California Department of Public Health which is charged with maximizing vaccination uptake in that state. Epidemiology Arch Gen Psychiatry Time trends in autism diagnoses in the State of California continued to increase with the introduction of the thimerosal containing maternal influenza vaccine in 2004. Study authors claimed that children were no longer exposed to thimerosal in vaccines after 2003, which is false. At that time, thimerosal containing maternal and infant influenza vaccines were introduced as a part of the CDC recommended schedule. Destefano 2009 Destefano is currently Director of the Immunization Safety Office of the CDC, which buys and sells $4.6 billion of vaccines per year. Editorial Expert Opinion Drug Safety Time trends in autism diagnoses in the State of California tracked closely with the uptake of thimerosal containing vaccines through the 1990s. Destefano relied on flawed epidemiology studies from the U.K. and Denmark which follow different vaccination schedules compared to the U.S. Data from California show clear correlation between thimerosal uptake and autism incidence.